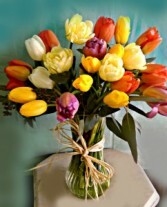 Mixed colors of tulips arranged in a clear glass vase wrapped with a raffia bow. Elegant and special for any occasion. 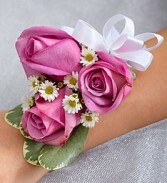 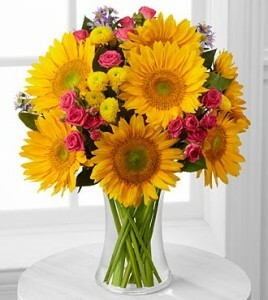 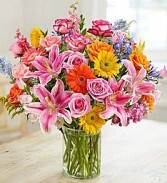 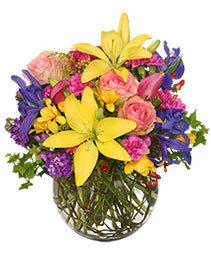 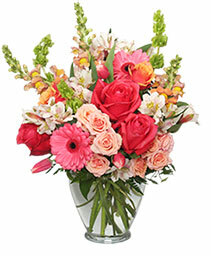 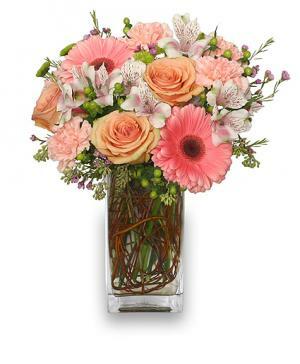 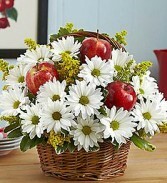 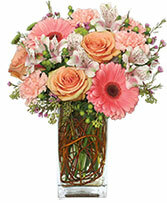 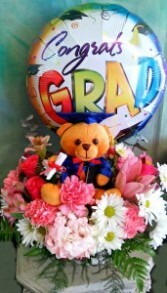 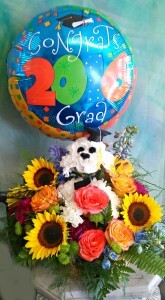 Bright and vibrant bouquet of roses, sunflowers, lilies, daisies with lush greenery for a fresh-from-the-garden look. 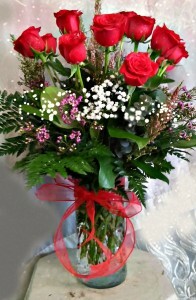 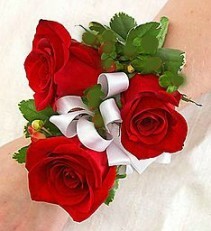 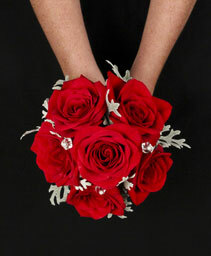 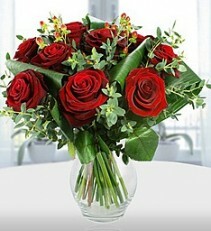 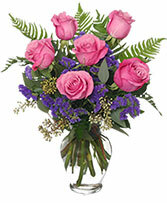 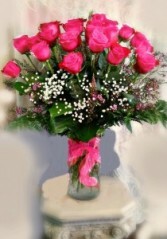 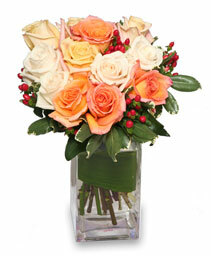 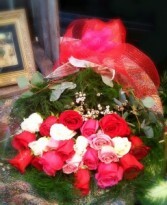 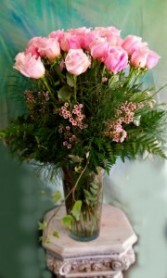 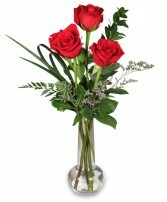 Nine long stem red roses accented with holiday greenery in a clear glass vase. 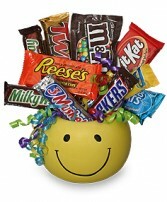 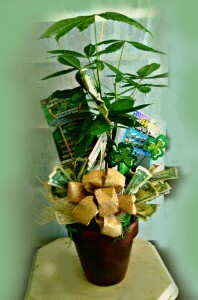 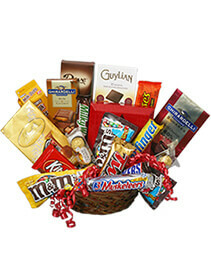 Perfect for a hostess gift or sweetheart.